Introducing our new HQ Amara 20! This machine is the perfect experience in quality, precision and unlimited quilting possibilities. 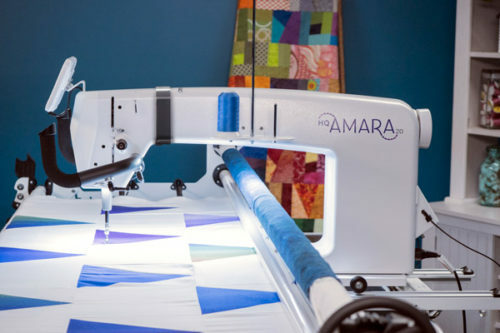 The HQ Amara 20 is designed for use with the HQ studio 2 frame and with twenty inches of creativity at your fingertips you can design the perfect quilts from baby quilts to king size. To find out more about the HQ Amara 20 and the features visit our website here.